Metro-Screen Classics Film version of John Fleming Wilson “Unchartered Seas” starring Alice Lake and Rudolph Valentino is released this week. It is the story of a woman who, after suffering years of indignities at the hands of her husband, finally leaves him upon proof that he is a irretrievable coward and turns to “the man she hadn’t married” with whom she endures months of cold and agony while they fruitlessly explore the unchartered Arctic Seas. Privately we don’t care for fake icebergs and unreal miniatures in the scenic, and the terrors experienced by the hero and heroine make one wish that one of the tumbling glaciers would end it all. But when many souls are more dramatic than ours and for them such pictures are made. Let it be said seriously that an excellent aurora borealis effect has been obtained. It is far more convincing than some of the foregrounds upon which it shines. Miss Lake does Lucretia Eastman, the disgusted wife, with dignity. Mature roles suit her better than the flappers in which we have so often seen cast. 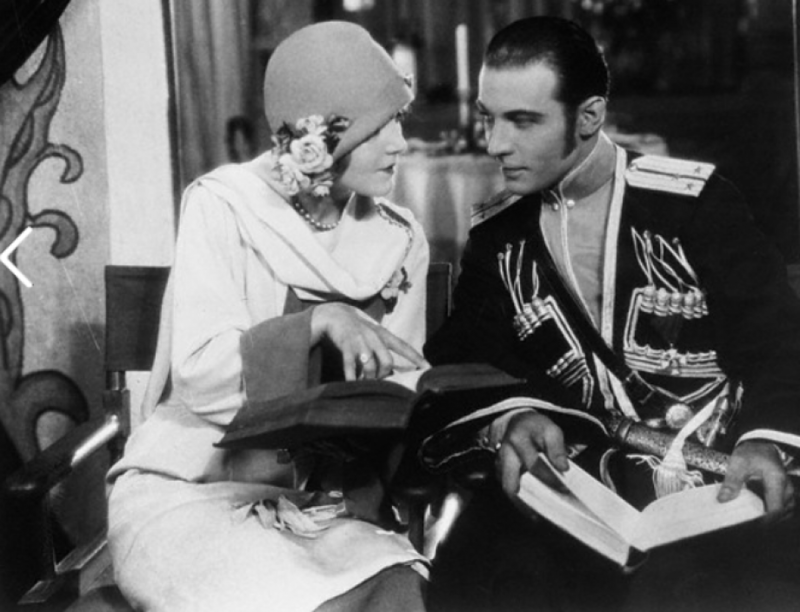 Rudolph Valentino does little well as Ralph Underwood the romantic explorer who loves the wife of another man.